Senor Frog's is known for there Signature Drink it's called a Yard, Inside a Yard you can get the drink of your choice, that's right anything you like. People around the World Love It! Beachwear is encouraged at Señor Frog’s, but the only swimmers in sight are floating above the bar. Their bikini-clad bottoms poke through the centers of inner tubes, making visitors wonder if the restaurant has taken a dip in the ocean. Luckily, this scene is meant to elicit giggles, just like the brightly colored signs that plaster the tables, walls, and ceiling. These banners call out to diners, enticing them to let loose, order a margarita, and see how crazy a night at Treasure Island can get. On many nights, DJs provide a live soundtrack for the revelry as shot girls circulate with tequila as heady as a Hydra-turned-sommelier. 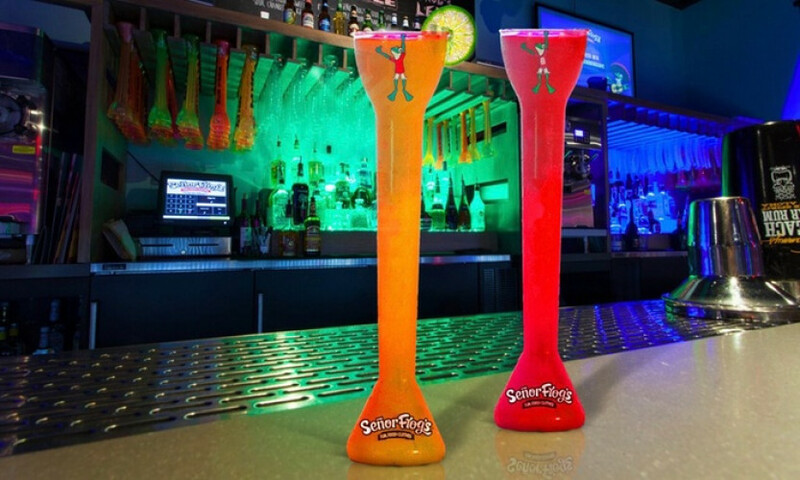 To fuel the evening’s adventures, Señor Frog’s offers a hearty lineup of Mexican and American eats. The Mexican menu showcases items like flaming fajitas and fresh fish tacos. Burgers and barbecue fill the American side of the menu with a picnic vibe that pairs well with a homestyle dessert such as brownies à la mode.